Smoked Cheddar Duchess Potatoes, an ultimately luxurious side dish. Smoked Cheddar Duchess Potatoes. 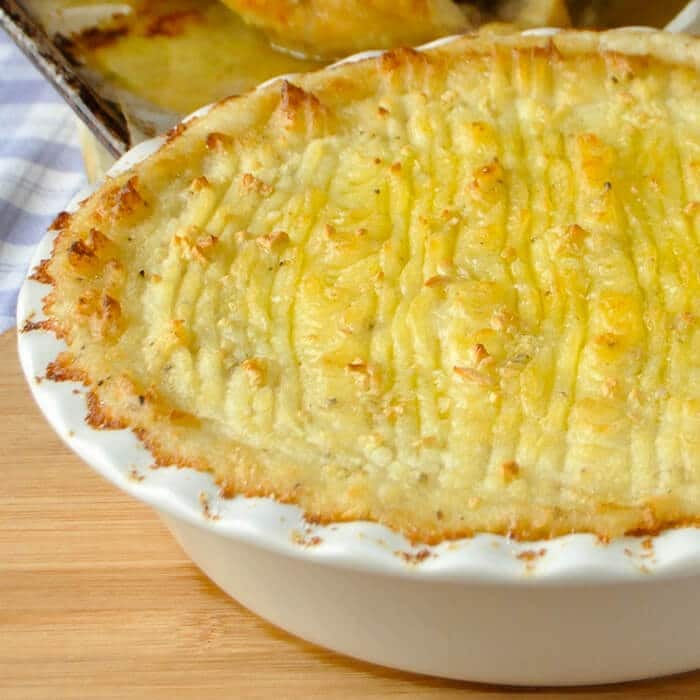 One of the most luxurious, indulgent and most flavourful potato side dishes you will ever sample. When I say that these Smoked Cheddar Duchess potatoes are indulgent and delicious, you can bet I mean it. 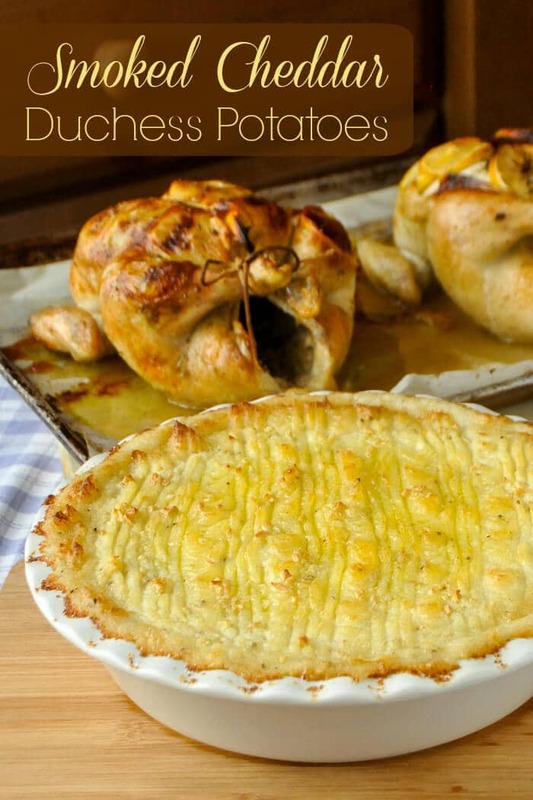 They are the most creamy, rich and flavourful baked, mashed potatoes I’ve ever tried. They were inspired by a twice baked potato recipe that I recently had with my star dinner. On this occasion, it was Lemon Garlic Roasted Chicken that was served beside these luscious potatoes and they also paired very well indeed. Smoked Cheddar Duchess Potatoes, an ultimately luxurious potato side dish. If you love smoked cheeses as I do, this is going to become a favourite side dish for you too. The teenagers in the house even loved this one. I can also see this side dish as being excellent to serve with a baked Ham dinner at Easter or any celebration throughout the year. Wherever and whenever you serve them, they are sure to be a hit. 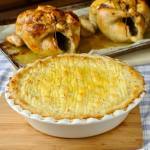 Like this Smoked Cheddar Duchess Potatoes recipe? You’ll find many more delicious ideas like this one in the photo gallery for our Side Dish Recipes Category. If you liked this recipe, you may also want to try this one for Lemon Herb Roasted Potatoes. Smoked Cheddar Duchess Potatoes - one of the most luxurious, indulgent and most flavourful potato side dishes you will ever sample. Grease a 9x13 glass baking dish well, or one of similar size. I use a large deep dish pie pan as pictured. Peel and wash the potatoes and cook for about 20 minutes in simmering salted water until fork tender completely through to the centre. While the potatoes boil, chop the garlic and sauté it for a few minutes in the butter in a small saucepan; just until the garlic softens a little but not browned. Mash the potatoes so that there are no lumps then mix in the scalded cram and garlic butter along with the grated cheese and a pinch of pepper to season; plus the thyme if you are using it. Spread the creamy potato mixture into the prepared pan. Using the back of a fork, draw ridges all across the surface of the potato in both directions, just to create a bit of a craggy surface. Drizzle on the melted butter. Bake for about an hour or a little longer. It just depends how crusty you want the edges and bottom of the cooked potatoes. Allow to cool for about 15 minutes before serving. They are very hot, straight out of the oven. Note: I don't use additional salt with the pepper to season these potatoes before baking. Bothe the butter and the parmesan cheese contain adequate salt to season the potatoes well. These look so good. Smoked cheese is one of my favourite special occasion foods. I can’t wait to try your recipe. Would smoked gouda do well in this dish?